Editor’s note: We have been monitoring “behind the scenes” the US Dollar Supremacy and the challenges it faces over the last couple of years. Indications show that it is now time to move towards strategic foresight analysis of the issue. This series results from this need and our in-depth analysis will constitute the building blocks for scenario analysis regarding the future of the US Dollar Supremacy. On 15 September 2017, the Russian Federation President Putin ordered to end trade in US dollars at Russian ports (President of Russia, Official, “Instructions following a meeting on developing Northwest Russia’s transport infrastructure”, 15 Sept 2017, Kremlin.ru; RT, “Putin orders end to trade in US dollars at Russian seaports”, 20 Sept 2017). Could this be a signal according to which major powers such as Russia and China try to put an end to the US Dollar supremacy? 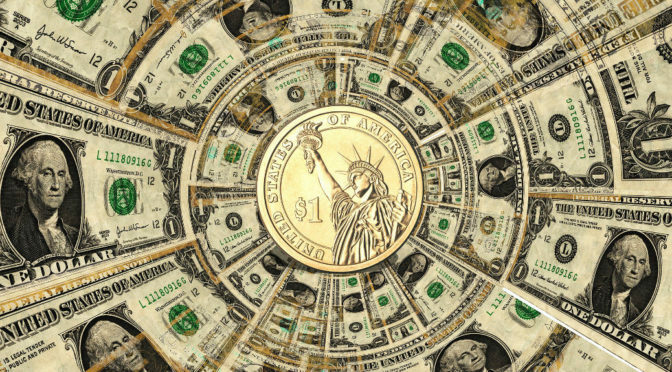 This series will examine challenges the US Dollar supremacy may face and how the overall system may evolve in the future, which, therefore, will impact the economic and geopolitical predominance of the United States. In this article, we lay the basis to better analyse these issues. We first explain the main difference between money and currency, and stress that a currency has no intrinsic value while its use is dependent upon the trust that actors have in the issuing country. This allows us to understand the reasons for currency internationalization, i.e. the use of a currency outside the borders of the currency’s issuer as well as the main characteristics of a global currency. Pointing out that if a currency issuer is economically important and politically influent, its money will have a certain degree of internationalization, we stress that the process of emergence of a global currency is driven by the private interests of market actors, who are willing to find a commonly accepted means to exchange their products, and who then benefit from network externalities, as long as there is also stability of and trust in the issuer’s political and economic system. Finally, we examine the benefits and costs that currency internationalization brings to the issuing state. Economic benefits range from economic advantages such the opportunity to shift exchange-rate risks to foreign costumers to seigniorage, which creates an “implicit transfer of resource” (Cohen 2015: 21) to the issuing country. Meanwhile, influence in international politics is also increased, especially because of the enhanced leverage over foreign countries. Moreover, the issuing country enjoys macroeconomic flexibility in running current account deficits. Costs, on the other hand, mostly derive from the appreciation of the currency and the limitation in the degree of independence when it comes to pursue its monetary policy. 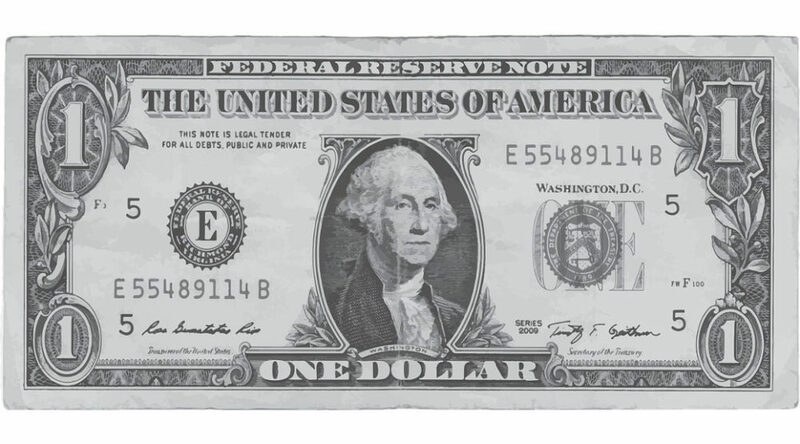 The aim of this series of articles is to explore and assess present and future challenges to the position of the current only true world currency: the US dollar (USD). 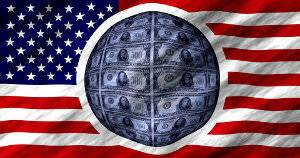 Will the USD continue to be the backbone of the global economic system in the foreseeable future? 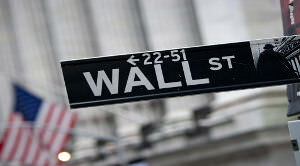 The question is momentous for the future of the U.S. economic and geopolitical predominance. And if the USD loses its status, what will substitute the greenback? Another national currency? A multipolar currency system? Or some cryptocurrency like bitcoin? And, even more important, which consequences will the U.S. power face? Analysing the issue and trying to foresee future developments is crucial not to be caught off guard and to be prepared for every circumstance. Thus, having an idea of the challenges that the USD, and therefore the U.S., could face, as well as of their related impacts on global affairs, is of extreme importance. In this first article, we shall lay the basis to effectively analyse the issue. Thus, we shall understand the difference between money and currency. Then, we shall wonder why there is a need for international currencies and which conditions must be fulfilled to make the scope of a currency global. We shall conclude by explaining the benefits and the eventual costs of currency internationalization. This last point is crucial because, while all the roles of a currency seem to bring economic benefits to the issuer’s economy, some of these not only benefit the economy but also further enhance state power. The next article will therefore dig deeper into the links between currency relevance and the might of its issuer. The series will continue with an analysis of what has made (and makes) the dollar great. Building upon these fundamentals, we shall later focus on the possible challenges to the USD predominance on the world stage together with the consequences that a decline of the dollar would have on the American power. (The Royal Mint, “Legal Tender Guidelines”). For example, this is clearly stated on USD notes: “This note is legal tender for all debts, public and private”.Actually, the proper appellation for a currency is fiat currency, i.e. because fiat is a Latin word that means “let it be done” and, consequently, a government fiat is a government mandate (justaskbenwhy.com, ibid.). Gold could be an obvious example of money, as salt, or cowry shells were in the past (Encyclopedia of Money, Salt currency; National Bank of Belgium museum, Cowry shells). Since the quantity of gold disposable on Earth is limited, gold has an intrinsic value, whose price will be determined over time by the markets. This is why gold is used as a safe haven in times of financial distress. fiat currencies lose part of their purchasing power is exactly the demonstration that they have no intrinsic value. 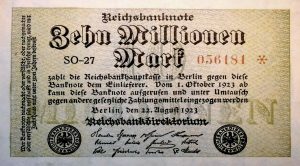 An example of this is the hyperinflation during the Weimar Republic, when the mark lost almost all its value (Alexander Jung, “Germany in the Era of Hyperinflation”, Der Spiegel, August 14, 2009). Notes were used as wallpaper (Rare Historical Photos, “Using banknotes as wallpaper during German hyperinflation”). Trust in a government’s monetary policies aimed at keeping inflation under control is therefore crucial to the use of a currency. Currency internationalization can be defined as the process through which a currency “is readily and frequently used in transactions among non-residents outside the jurisdiction where the currency is issued” (Genberg 2009: 2). It is therefore linked with trust in the issuer government. As we just explained, a currency will become internationalized only if trust in the issuer government exists among the foreign actors using the currency. the possibility to bring about important profits. For example, Roman coins have been found in India, showing that the depth of the Roman domestic market made Indian merchants willing to accept Roman currency. Similarly, Arab coins were found in Scandinavia while Florence’s florins and Venice’s ducats were widely accepted across Europe (Encyclopaedia Britannica, Coin). In modern times, thanks to Madrid’s and London’s political power and commercial depth, the Spanish dollar and the pound sterling have had the same kind of predominance the USD now enjoys. In short, if a currency issuer is economically important and politically influent, his money will have a certain degree of internationalization. But why is there a need to have an international currency, i.e. a currency that is attractive to everyone? And what are the characteristics that make a currency global? The answer to the first question is simple. Economic actors need efficiency when engaging in transnational exchanges of goods or services. Global currencies, since they are widely used, ensure the reduction of transaction costs thanks to economies of scale mainly due to positive network externalities (Genberg 2009: 2). A positive network externality is the effect through which the more people use a service or a good organised along networks lines, the more value these services or goods have for every single user (Mike Moffatt, “Introduction to Network Externalities”, thoughtco.com, 1 July 2016). LinkedIn, for example, would have no value if everybody suddenly stops using it; the more people use LinkedIn, the more value it has for each user. Similarly, WhatsApp would have very little value if there were just few people using it; it is a valuable means of communication only because its use is widespread. The same holds for currencies. The positive network externalities enjoyed by a limited number of currencies, however, could be relatively offset in the future as a consequence of the improvement in trading platforms and payment infrastructures (Genberg 2009: 8). Furthermore, using the same means of payment greatly enhances purchasing power. If a market actor holds a currency that nobody is willing to accept, (s)he will never have the possibility to buy goods or services on international markets. Global currencies eliminate this problem. The process of emergence of a global currency is therefore driven by the private interests of market actors, who are willing to find a commonly accepted means to exchange their products. As emphasised by Benjamin J. Cohen (2015: 9) “internationalization may be regarded as a quite natural demand response to prevailing market structures and incentives”. However, it is important to note that certain conditions belonging to the political realm are necessary for this process to take place, and also that a country can implement political actions in order to enhance the internationalisation of its currency. To be truly international, a currency must perform the three traditional functions of a money (medium of exchange, unit of account, store of value) both at a private and a public level and, naturally, on an international scale. Consequently, a global currency must have a role in foreign-exchange trading and trade settlement (as medium of exchange), trade invoicing (unit of account) and financial markets (store of value) in the private sphere. Meanwhile, in the official realm, a global currency must have the possibility to act as an intervention currency (medium of exchange), an exchange-rate anchor (unit of account) and as a reserve currency (store of value) (id. : 8-10). In this context, it is important to note that the use of a foreign currency by a government is a consequence of widespread use in the private sector, added to trust in the issuing government and political actions pursued by the issuing country. A central bank, in fact, will never hoard a currency that is not widely used in international capital markets. It would have no utility, for example, in keeping inflation under control or preserving financial stability. 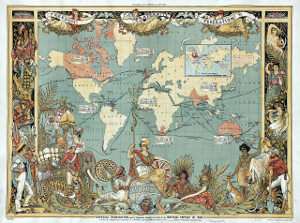 Indeed, when the local currency is under pressure – i. e. when investors are selling it, provoking its devaluation – a central bank can buy its own currency with the foreign-exchange reserves it has accumulated over time with the aim to stabilise exchange-rates and preventing inflation to rise. Foreign exchange reserves are also an insurance in the case of “shocks such as unexpected fluctuations in the current account, changes in access to foreign markets or natural catastrophes” (Haukur C. Benediktsson and Sturla Palsson, “Central bank foreign reserves”, Monetary Bulletin, 2005, 3 ). This confirms the idea that currency internationalization is partly driven by market factors. The market will rather go for a currency that can perform the three above-mentioned roles in the private sector, added to a relatively stable inflation in the issuing country (Cohen id. : 11; illustrative chart on inflation in the US, Trading Economics) and to stability and resilience in home financial markets (Prasad 2017: xvii) The stability of the issuer’s political and economic system is another crucial factor in making a currency global. All of these conditions create the basis for the international adoption of a currency also at the government level. Which are the benefits that a preeminent global currency can give to the issuer’s economy? First, home banks, having privileged access to a central bank issuing an international currency, can easily create widely accepted monetary liabilities (for more detailed explanations, see, positivemoney.org, “How Central Banks create money”) – i. e. obtain cash that will be returned at a later date, including loans, and also payables – and expand their businesses abroad at a lower cost (Cohen id. : 20). Non-financial actors also benefit from the international status of their domestic currency, that “broadens and deepens the markets” (Kenan 2009: 5) where they can operate. 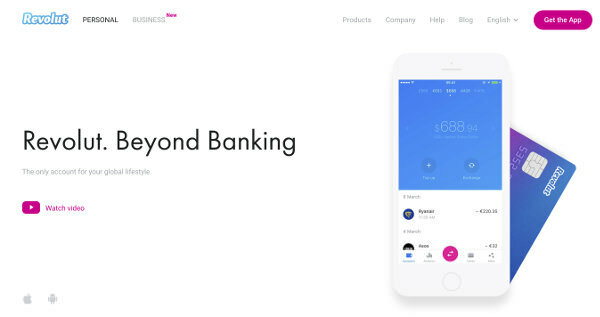 This gives them the opportunity to sell their products getting home currency in return, “thus shifting exchange rate risk to the foreign customers” (ibid.). Moreover, as the global economy is dependent upon assets denominated in US dollars (E. Prasad, “The Dollar reigns supreme by default”, Finance & Development (IMF) March 2014), currency internationalization enhances access to international financial markets, thereby enabling domestic financial and non-financial firms to borrow money more cheaply and on a larger scale, as they have global financial markets at their disposal to access their home currency (Kenan id. : 5). denominated in domestic currency lowers borrowing costs. In addition to this, and here we switch to the International Relations aspect, the issuer government, since the global economy relies on its currency, has a great potential for leverage in the international arena. This can be translated into side-payments to allies or sanctions to enemies, as exemplified by the US sanctions that have hit countries like Iran, Russia and North Korea in the last years (U.S. Department of the Treasury, “Sanctions Programs and Country Information”). Finally, the international use of a currency also enhances the issuer’s prestige among other countries (Cohen 2017: 7-8). However, we have to look at the intersection between economics and international relations to see what could be the greatest advantage coming from issuing the world’s top currency: macroeconomic flexibility. The international use of domestic money is of extreme importance for the economy because it relaxes the restrictions caused by current-account imbalances, creating ample space for manoeuvre to pursue public policy objectives (Chey 2012: 3). The U.S., for example, enjoys an impressive ability to finance payment deficits with its own currency, as demonstrated by the large current account deficits, e.g. $469 billion just in 2016, Washington has run in the last decades (Kimberly Amadeo, The U.S. Current Account Deficit – Threat or Way, of Life?, The Balance, 11 May 2017; United States current account; Trading Economics). These important advantages come at a price. As there is high international demand for the top currency, its value vis-à-vis other currencies increases (Cohen 2015: 23-4). This is naturally detrimental to domestic, export-oriented firms, whose products will have a higher price in relation to those manufactured in foreign countries. Domestic-market-oriented companies will also suffer negative consequences as their products will be less competitive than those coming from abroad. All of this has negative repercussions on employment from both a quantitative and a qualitative point of view. Furthermore, the excessive accumulation of liabilities by foreigners can limit the degree of independence that the issuer’s central bank has in pursuing its monetary policy. Volatility in the purchase or in the sale of its currency may pose difficulties in reaching an eventual inflation target and, in that case, force the central bank to neglect other policy objectives (for example the level of unemployment). Moreover, there is also the not negligible risk of excessive currency depreciation if foreign holders come to believe that the assets denominated in the domestic currency may fall sharply (Kenan id.:7). Will this also apply to the U.S. one day? Building on these fundamentals, we shall turn next to the functions of currency that are more important in building and strengthening the power of the issuing country. Featured image: Public Domain, Pixabay. Amadeo K. (2017) “The U.S. Current Account Deficit – Threat or Way of Life?”, The Balance, 11 May 2017. Retrieved: 29 September 2017. Benediktsson, H. C. and Palsson, S. (2005) Central Bank Foreign Reserves, Monetary Bulletin, Central Bank of Iceland. Chey, Hyoung-kyu (2012) Can the Renminbi rise as a global currency? The political economy of currency internationalization, National Graduate Institute for Policy Studies, GRIPS Discussion Paper 11-20. Cohen, Benjamin J. (2017) Renminbi Internationalization: a Conflict of Statecrafts, International Economics Department, Chatham House. Genberg, Hans (2009), Currency internationalization: analytical and policy issues, Bank for International Settlements. Jung, Alexander (2009), “Germany in the Era of Hyperinflation”, Der Spiegel, 14 August, Retrieved: 28 September 2017. Kenan, Peter B. (2009), Currency internationalization: an overview, Bank for International Settlements. Prasad, Eswar S. (2014) “The dollar reigns supreme, by default”, Finance and Development, March 2014, Vol. 51, No.1, International Monetary Fund. Prasad, Eswar S. (2017) Gaining Currency. The Rise of the Renminbi. Oxford: Oxford University Press. Thank you dr. Leonardo Frisani. Thank you very much indeed! However honoured, I do not hold a PhD (or not yet as I am thinking about it ) but a MA, thus I can not qualify as Dr… and please call me Leonardo! I am delighted to read Mr Frisani’s article on changing patter of international trading with regards to the role of US $. It is true that crude oil is priced and traded in the US currency ever since it was traded internationally.Different oil producing countries tried to change the pattern and move to other currencies and were not successful.Oil traders do not mind to convert Dollar into any other currency and pay NOC’s and producers but still oil is priced in terms of dollar.Back in 1970’s and early to mid-1980’s, OPEC decided to divert from dollar to a basket of several dominant currencies.In fact Mr.Zaki Yamani, then oil minister of Saudi Arabia was the pioneer.OPEC benefited from advice and consultancy of emminent Stanford University schlars. There was then Geneva-1 which consisted of nine major currencies such as French and Swiss Frank, Deautch Mark,Guilder and Jamanese Yen.Geneva-1 excluded dollar and then Geneva-2 was inclusive of US $.In all there were ten mean average of ten powerful currencies. However, when dollar was appreciated in value and got back to its feet and purchasing power of a barrel of crude was restored, OPEC dropped the idea.This has been a trend among among oil producers for some decades.When $ depreciates, tendency to turn away from the currency is stronger.However,in recent years, leaving US currency has been politically supported, mainly due to US total authority on swift that can force its will on any country.In fact $ empowers its will and strength through swift mechansism. I am very glad that you appreciated my article; I hope you will also be interested in the next ones, as they will indeed deal with the fundamental issues you delineated so clearly in your comment. As you point out, the history of oil pricing and the swift mechanism are pivotal for our quest to understand the possible futures of the US dollar predominance. Thank you very much indeed for sharing your ideas with us.